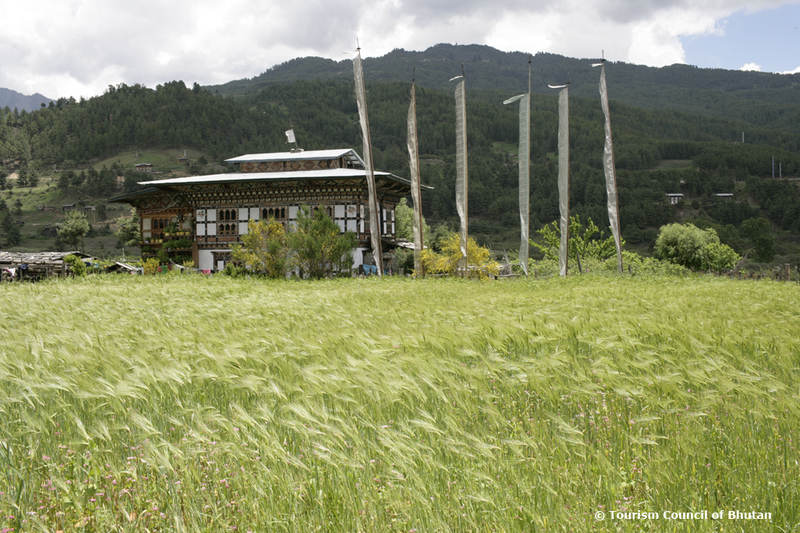 Staying in a Bhutanese farm house is altogether a different experience. 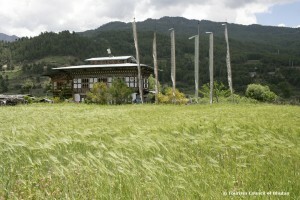 It is an opportunity to get a firsthand experience of typical village life in Bhutan. Except for some modifications done to farm houses’ hygiene and sanitation facilities, the rest remains the same. Farm houses are mostly colorful traditional Bhutanese houses built with mud and stones without any nails. Earlier the ground floor of the house served as shelter for cattle but now it is used as a store for the family. This was a move to improve a household’s sanitation and hygiene. The upper floor of the farm houses usually has a big kitchen also used as a living room, a shrine (prayer room), a store and a bed room. Tourists can also take a hot stone bath at the farm house and eat with the host family.